what about a competition in something creative. so I am here with something called minecraft art. all you have to do is build a very creative creation by using minecraft creative mode. let's see who is best artist. I will post mine here. Maybe I have a skyscraper to post soon, but it's made in survival since I see that more as a challenge which makes building the skyscraper nicer to do. I'll contribute. 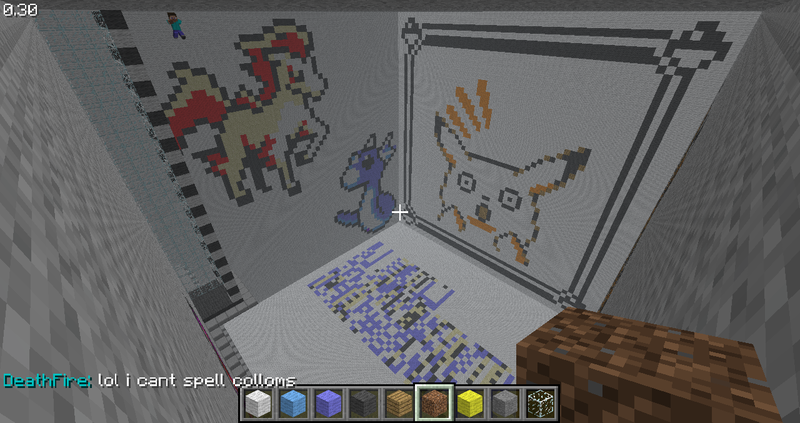 Here's the female player from Pokémon Christmas, where I made her in Minecraft.